A spectacular world of tropical delights and 5-star luxury is waiting to be experienced at the magnificent Barcelo Maya Palace, on Mexico’s magical Riviera Maya. Located in the grounds of the Barcelo Maya Grand Resort complex, you can stay at this fabulous hotel and enjoy the facilities, dining venues and hospitality on offer at 5. An ideal destination for travellers of all ages, this sublime all-inclusive retreat offers endless leisure and entertainment options, along with sumptuous accommodation and staggering natural surroundings. Whether you’re seeking total comfort and relaxation, fun for all the family, or a scintillating romantic retreat, the Barcelo Maya Palace ticks all the boxes and promises the holiday you’ve always dreamed of. The Barcelo Maya Palace is located next to the beach. 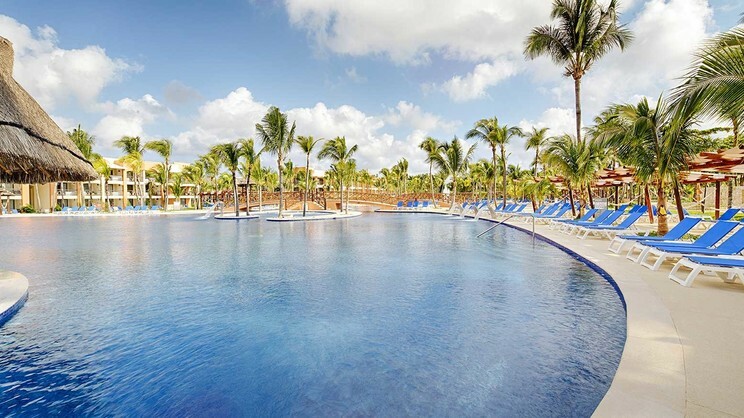 A variety of activities and tours can be found within a short drive of the Barcelo Maya Palace. Cancun International Airport is approximately 79km away from the Barcelo Maya Palace. Details may be subject to change. You will be provided with full details of the Premium Level privileges on arrival at the hotel.